A noteworthy contribution of Kakatiya rulers of to the Hindu Temple Architecture. 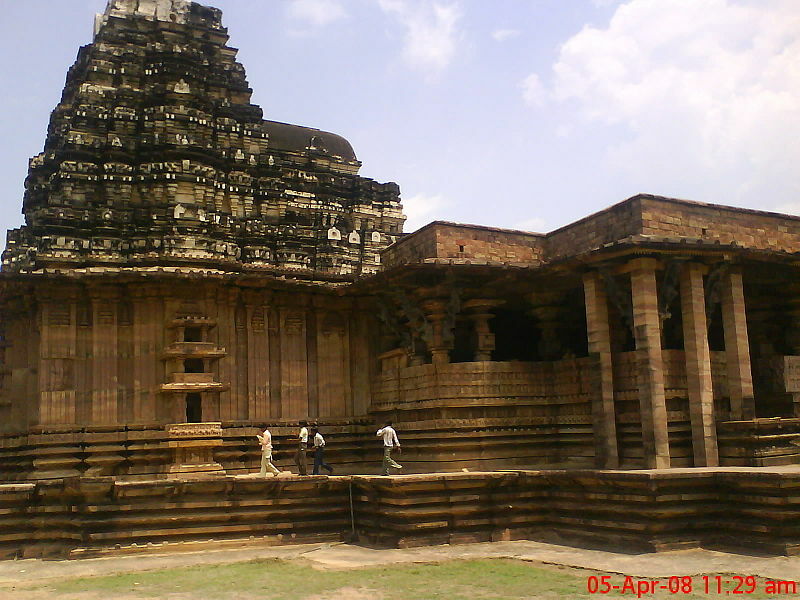 The temple is dedicated to Lord Shiva, known by the architect who built it-Ramappa. The Kakatiya King Kakati Ganapahi Deva built this temple as a votive to his many military successes. The temple dates back to early tenth century AD. Originally, the temple had three shrines to Lord Shiva, known as Rudreswara, Kateswara and Kameswara respectively. But now only the main Rudreswara shrine is used for worship, other two being in ruins. The architecture of the temple is noteworthy. The sanctum sanctorum is on a high cruciform shaped platform, as is in many Deccan temples. This signifies the separation of worldly matters from the worship to God. The temple plan is a mix of Nagara and Dravidian style, inclination is clearly towards the Vesara style of Hindu temple architecture. It is said that, the temple is build by a specially made bricks that are so lite , it can float in water. Moreover, there is splendid sculptural work all around. The Ramappa tank or Dam- an ancient engineering marvel is also nearby. Palampet is about 77 kilometers from Warangal.